Thomas Spence was born on 6 October 1802, a native of Dumfermaline, Fifeshire, Scotland, and son of Alexander Spence and his wife Jane, nee McKay. AtManchester, Lancashire, on 28 August 1834 he married Esther Hyde who died in Sydney on 2 February 1858, aged 51. Thomas Spence died in Sydney on 1 August 1878 aged 75 and was buried with his wife in the Presbyterian section of Gore Hill Cemetery. Thomas Spence, a 38-year-old carpenter from Cumberland, arrived in Sydney on 12 February 1842 on the Champion with his wife Esther Spence, a dressmaker from Lancashire aged 24, their 5 year old daughter Elizabeth and Anne Roberts who had been put under his charge. In 1844 Thomas Spence, builder, bought land in Balmain and built a small stone cottage (later Woodbine Cottage) in Nicholson Street. 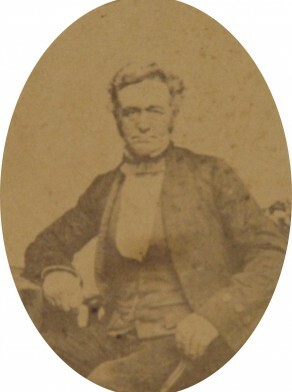 When he stood for Fitzroy Ward in December 1857, Spence was a builder of William Street. By 1870 he had freehold property at 126 Palmer Street and a residence at 216 Pitt Street. Thomas Spence was Alderman for Fitzroy Ward, 1 December 1857 to 30 November 1859 and from 21 September 1860 to 30 November 1863. Spence was Mayor in 1863.